They finally updated the Pin Pal bowling app for android. For the first time, we finally have data that shows what spare leaves you had. Also, the stats section crashed if you had 1,000 or more games. In fact, I emailed the developer, and said it wasn't worth his time to update the software just for that. I believe the apple version was able to do this all along. 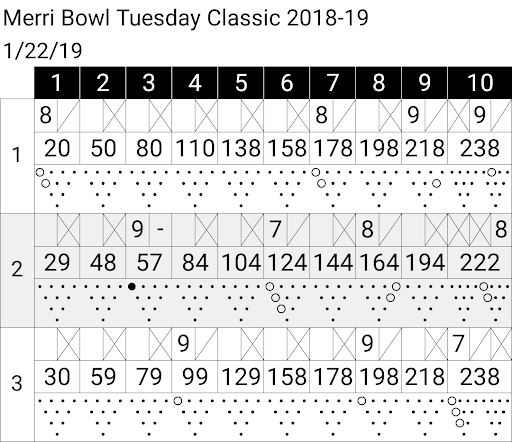 Here's my games from last night, 698 series. And my cumulative totals for 1,562 games that I'm able to see for the first time ever since the update. Just noticed that feature, thx! In all my games, had I made all my single pin spares, it is about a 1.5 to 2 pin difference!